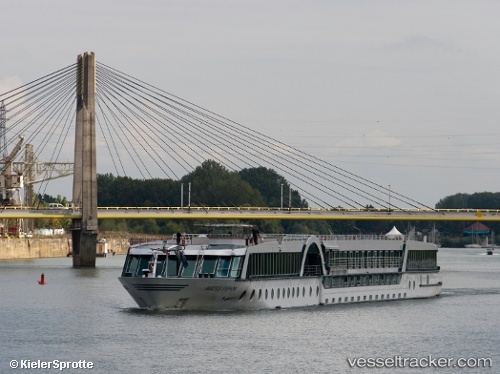 On Nov 23, 2010, the "Amadeus Symphony“ transiting from the Danube to Frankfurt allided with a pedestrians bridge crossing the lock at Knetzgau upon the Main. Obviously the helmsman had forgotten to lower hydraulic rails before passing the lock causing the superstructure to crash against the bridge. The damage was around 10 000 Euro, both ship and lock remaines in operating status.